We deliver a precise UWB RTLS technology, and that’s our focus. We participate with our partners on their projects to ensure their success and keep our roadmap aligned with real market needs. However, we never cannibalize our partner network by delivering an actual project! As we never sell projects directly, our success fully depends on our partners; so, we make sure that they have all they need in both a technical and business perspective to deliver top-level customer experiences to their clients. We are building our eco-system in the way we want to be treated – by having the same transparent rules for everyone, being open and appreciative of feedback, and bringing additional value to everyone involved. 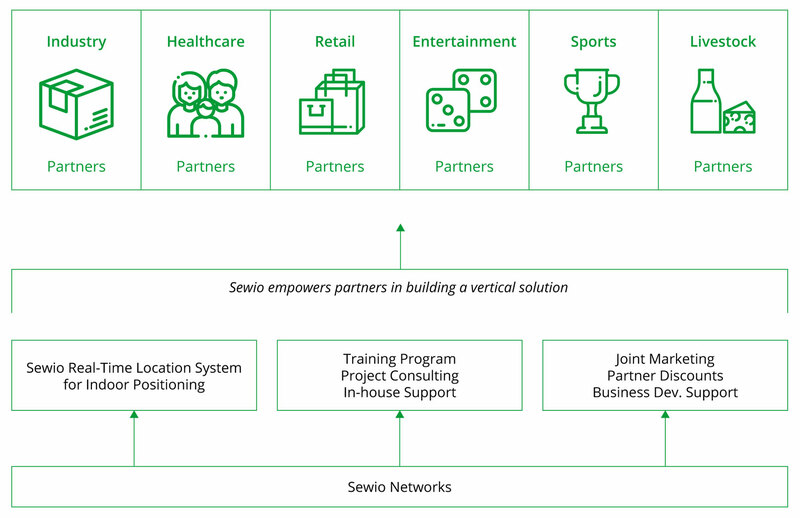 See Sewio’s three pillars Partner Program strategy. Sewio is our go-to partner when implementing a complete indoor positioning system for our clients. Sewio’s UWB-based RTLS is a differentiator in the market, allowing us to offer our services even in harsh environments, easily covering thousands of square meters, yet, with high precision. The Partner Program offers true partnership benefits, assisting in the development of high-profile projects, and providing high-quality referrals to RTLS-ready clients, customizable marketing collaterals, and joint representation at events. Peter Mačuš, CTO of Ceit Group a.s.